I’m back and I hope you are, too. Welcome. While I was gone, I noticed that our TV provider, Dish, had a falling out with Fox and removed Fox News and Business channels. I noticed it quicker when Dish dropped CNN; dropping CBS was short lived. I don’t watch Fox News much, but it’s a hoot to tune in occasionally and hear the litany of what the president is doing wrong. 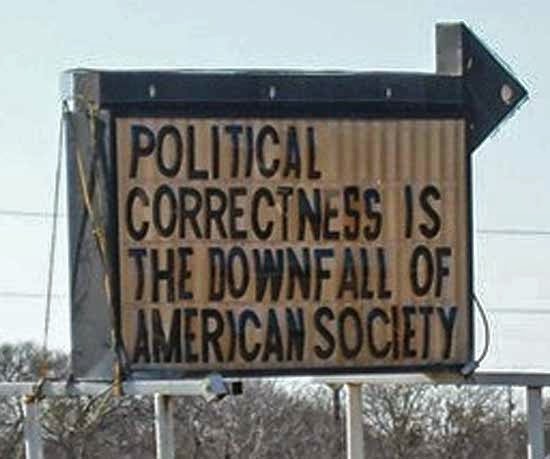 Although it’s been a while since I’ve heard political correctness disparaged on Fox, a recent study showed that the adoption of political correctness (PC) in the corporate work environment could yield a significant benefit. If Fox reported that finding, I feel bad that I missed the smirk and reference to elitist academics. Anyway, PC--the attempt to avoid language or behavior that could offend a particular group of people and which no doubt can go too far--was found to produce a no-cost payoff in creativity. Collaborating investigators from Cornell, the University of California, Berkeley, Washington University in St. Louis and Vanderbilt ran tests with 582 participants. Groups of three were told to be “politically correct” or “polite,” while other groups received no instructions. All groups then spent 10 minutes brainstorming business ideas. The creative output of each group was measured by the number of ideas generated and the relative novelty of the ideas. While you might guess that creativity surges when all constraints are removed, the results demonstrated the opposite. Imposing a norm to be politically correct--a norm that set clear expectations for how men and women should interact--increased the creative output of mixed gender groups. The investigators reasoned that men and women both experience uncertainty when asked to generate ideas as members of a mixed-gender group--men may fear offending women; women may fear having their ideas devalued or rejected. PC promotes rather than suppresses expression of ideas by reducing uncertainty and signaling that the group is predictable enough to risk sharing more ideas and more novel ideas. At least 15 years ago, I participated in a mixed-gender meeting involving military and civilian government personnel. The male Air Force officer leading the meeting kept dropping the F-word. It wasn’t my place to say anything, especially when no one seemed to flinch; yet I did ask a female Air Force officer about it after the meeting. She said it’s so common, she doesn’t pay attention. Despite her experience, I remember that meeting because, in my 20 years of government meetings, it was the only mixed-gender meeting where the F-word or just about any questionable language was used. Maybe that’s changed now. As I wrote in my Linguistic Longings post: Linguistic change is inevitable, whether it’s vocabulary, sentence structure or pronunciations. I was writing about the use of “mom” instead of “mother” and “no problem” instead of “you’re welcome,” but I suppose it’s much the same. PC encompasses far more than use of certain words, of course; and again, it can easily go overboard. As the study shows, however, there’s much to be gained by, well, being polite. What do you think? I wonder if Dish will be giving rebates for all these dropped channels. Thanks for stopping by.